Three years ago, the world lost a beautiful soul. Our dear friend, Ann Hennessey, of Morristown, New Jersey, passed away on March 30th, 2011 after battling a brief illness. 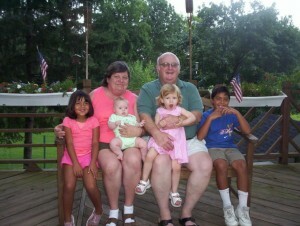 Ann was a devoted wife, a loving grandmother and mother, and a cherished friend. She had many talents. She was a dedicated educator, a devout volunteer, and a successful business woman. She was a breath of fresh air and simply a joy to be around. She always greeted you with open arms and a welcoming smile. She was truly an inspiration to many. She constantly gave her life to others, without expecting anything in return. The lives she touched and the impact she made is profound. She was truly selfless. Ann never strayed too far from home. She enjoyed cultivating her treasured garden. She was a nurturer and her garden was her labor of love. When she wasn’t tending to her flowers, she embraced spending time with her family-which was her true adoration. 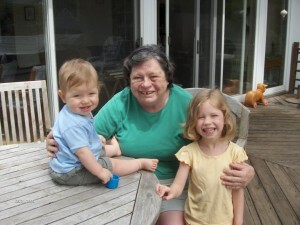 She loved sharing stories of her recent travels to visit her children and showing pictures of her grandchildren. Her eyes would magically sparkle when she talked about them. Her family was her life. Ann’s warm and gracious spirit will be missed and the world won’t be quite as bright without her glowing radiance. Ann left footprints on the hearts of all she came in contact with, and their lives will never be the same. Ann was very passionate about Irish culture, as her mother hailed from Co. Carlow, Ireland. Being Irish and the incredible teacher that she was, we thought it only be appropriate to honor Ann with a Memorial Fund for the Irish Life Experience. All of the money raised will go directly to a student/s who would otherwise not have the means to attend this amazing program. We will never forget you Ann! Please help us pay tribute to this remarkable woman! If you would like to make a donation, please click on the button below. Donations are being accepted by credit card or PayPal. Sallie Sams Goes to Ireland! Hello! My name is Sallie Sams and I am a Senior at Polson High School in Polson, Montana. Just a little bit about me… I’m very active with music and in sports. I’m a member of the elite Concert Choir and have performed in many concerts and festivals. I am a three sport athlete competing in volleyball, softball, and cheerleading. I was a part of the 2010 Softball State Championship Team contributing as a second baseman. I was also a part of the 2010 Volleyball Divisional Championship Team as a Captain and middle hitter ranking number one in our conference for blocks and number two for hitting. I have been awarded first team All-Conference and first team All-State as a Senior for volleyball and second team All-Conference as a Sophomore for softball. As you can see, my passion is music and sports. I’m also hard working, dedicated to my beliefs, and very friendly. I have recently been accepted into the Irish Life Experience-an unforgettable summer journey to Ireland for high school students-June 27-July 21, 2011. Emphasizing culture, education, travel, and fun, the Irish Life Experience strives to insure each student’s experience is unique and unforgettable. Students are introduced to Ireland’s welcoming and friendly people, magical and beautiful landscape, and rich heritage and tradition, all of which will be celebrated through structured classes and tours. I’m looking forward to learning about the Irish culture and being able to witness the beauty of the Emerald Isle first-hand. I’m extremely excited to learn and participate in traditional Irish sports, such as Gaelic football and hurling and even master an Irish jig or two. This summer will be a life changing opportunity for me and I feel blessed to have been given this opportunity. It will open many doors for my future. However, I need YOUR HELP! I will not be able to afford the program without the financial assistance of family and friends. With your donation, it will help make my dream come true. I appreciate your support and truly thank you for your generosity. Go raibh maith agat-Thank you! Happy St. Patrick’s Day from Feis America! One of my favorite jobs at Feis America is getting to spend time with the three generations who often accompany competitive Irish dancers to events. There are not many athletic pursuits or pastimes that draw extended families together and it’s worth celebrating! It follows, of course, that the month of March-with dance-outs, parades and performances all across North America-is also a celebration which extends to several generations and friends, too. Reunions take place, lost souls are honored, stories are exchanged, babies are introduced and photos are shared almost instantly. The connection we Irish Americans have with one another is not unique; other cultures are known for their family gatherings too. What continues to astound me, however, is the connection we Irish Americans have with Ireland herself. The desire of North American dance families to get to the All Ireland Championships or Oireachtas Rince na Cruinne (World Championships) means a journey back ‘home,’ even if the family is two or three generations removed from an Irish birthplace! The Irish Life Experience is a tremendous opportunity to reinforce that connection with Ireland, while promoting our American ties there on the Emerald Isle. For all of our great grandparents or grandparents who emigrated and could never look back, your experience in Ireland honors the sentiment and beauty of what they left behind to make a better life. Your only obligation is to bring back stories to inspire a new generation to make the journey themselves! Happy Saint Patrick’s Day from North America’s favorite Irish dancing magazine, Feis America! Irish Life Experience Friend and Blogger, Jennifer Holloway from Portland, Oregon, shares how she will celebrate the St. Patrick’s Day spirit next week. My Irish descendants set sail for America in 1811. If I had known that more than just a few years ago, I might own a “Kiss Me, I’m Irish” T-Shirt along with the rest of the proud Irish Americans. Unfortunately, the celebration of my Irish heritage goes about as far as the Lucky Charms I had for breakfast this morning-true story. I honestly forgot to wear green on St. Patrick’s Day last year! This year, however, I’ll celebrate St. Patrick’s Day the way it should be done. My book club happens to be meeting on March 17th. Our hostess is making corned beef, Irish soda bread, potatoes, and veggies. I’ve signed up for dessert and although I’m undecided on what to make, the list of ingredients will likely include Bailey’s. We even read Frank McCourt’s “Angela’s Ashes” to keep with the Irish theme. No, we didn’t, but the rest of it is true! The only thing Irish about our book is that you can buy it in Ireland-along with anywhere else in the world. Ah well…, it will still be an excellent celebration. Out of curiosity, I did some research to learn more about Saint Patrick. As it turns out, facts about his life vary depending upon the source. There are some pieces most scholars accept to be true, though. According to Coilin Owens, Irish literature expert at George Mason University, Saint Patrick lived between 432-461 A.D. At 16, he was kidnapped from the Roman British Isles and sold into slavery in Ireland. Saint Patrick turned to religion for solace and after six years he escaped. While back in his homeland, Patrick decided to become a priest and then decided to return to Ireland after dreaming that the Irish people were calling him to convert them to Christianity. He traveled back to Ireland as a Christian missionary and his mission in Ireland is said to have lasted for thirty years. Patrick died in the 5th century on March 17th–The day we continue to celebrate this patron saint of Ireland with jovial parades, Irish festivals, and all things green-even the beer… An American addition, of course.